Definition at line 129 of file winsvc.h. Definition at line 131 of file winsvc.h. 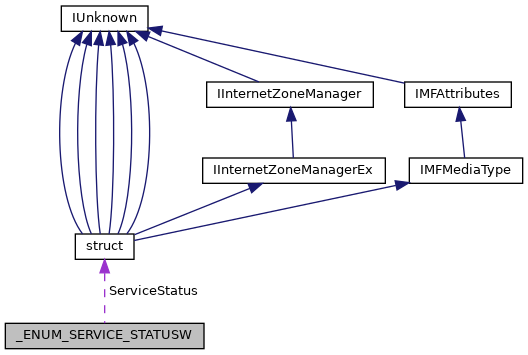 Referenced by EnumDependentServicesW(), EnumServiceGroupW(), EnumServicesStatusW(), REnumDependentServicesW(), REnumServiceGroupW(), and TV2_AddDependantsToTree(). Definition at line 130 of file winsvc.h. Definition at line 132 of file winsvc.h. Referenced by REnumDependentServicesW(), REnumServiceGroupW(), REnumServicesStatusA(), and TV2_AddDependantsToTree().